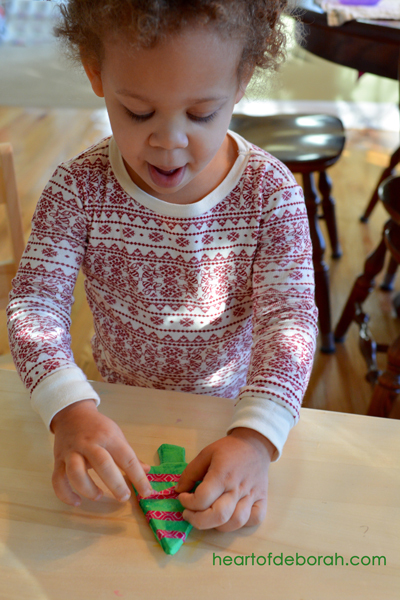 The instructions for this easy clay kid’s ornament contains affiliate links. 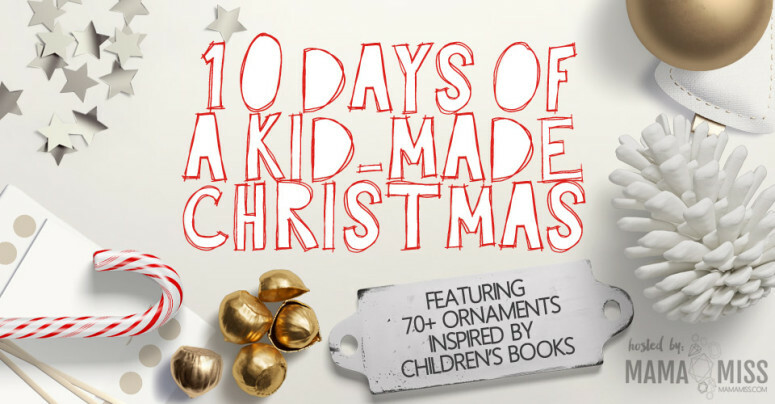 We love crafting and reading in our house so the 10 days of a kid-made Christmas is a perfect fit for our family. Last year we crafted sesame street inspired ornaments based off of our daughter’s favorite book character. Izzy has a small obsession with Elmo. 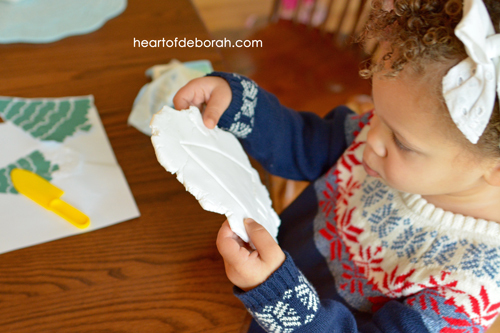 This year we wanted to do another Christmas craft and we recently discovered fast drying clay. 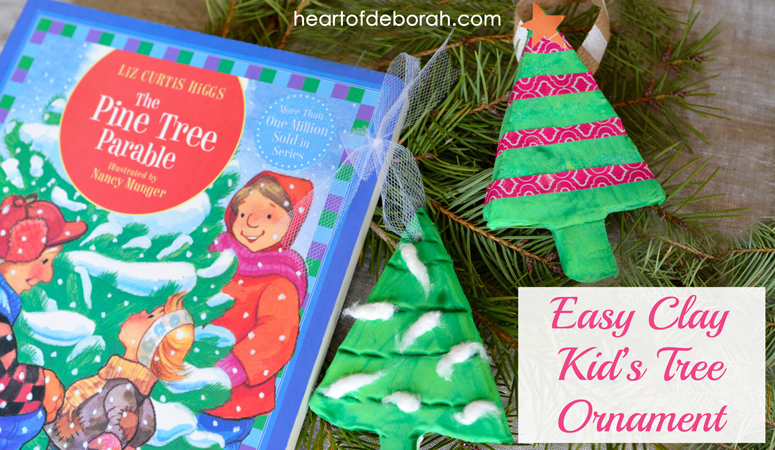 We found the perfect book to read this holiday season and created an easy clay kid’s ornament to go with the holiday book, The Pine Tree Parable . This year, for whatever reason our daughter has been loving Christmas trees. Whenever we are in the car she wants to find lights and Christmas trees. 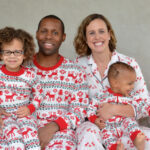 The Pine Tree Parable is an adorable children’s book that follows a Christmas tree farmer and focuses on the gift of kindness. The first time I read it I got tears in my eyes! We highly recommend this book and read it throughout the year. Now for the Easy Clay Kid’s Ornament! Since our daughter is young I helped her outline the shape of a tree in the modeling clay. Then she used her play dough knife to cut it out and create texture on the tree. It is recommended to air dry the clay for 1-3 days. Since we made the clay tree somewhat thin we only had to wait a day. We also put a hole in the clay at the top before it dried to attach ribbon. If you don’t want to do that you can glue ribbon to the back of the clay. Now it is time to paint! I didn’t realize how much my daughter loved painting until we did this activity. 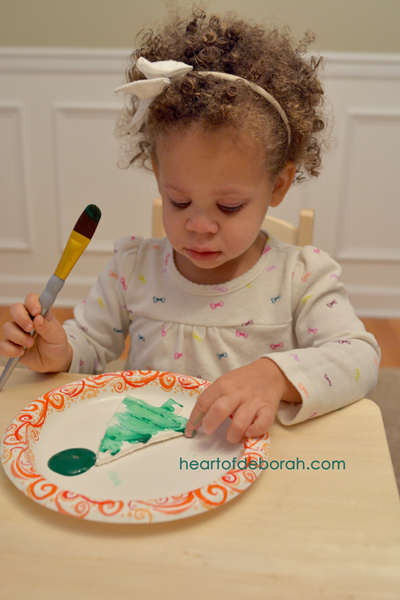 She was very careful with the washable paint and was able to cover the clay ornament by herself. After the paint dried it was time to decorate! 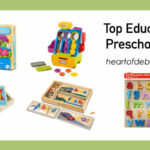 You can get creative with this part and use supplies you have around the house. We used fuzz from q-tips to add “snow” to our Christmas tree just like the tree in the story. My daughter was very excited about adding snow to her green tree. We also used some washi tape we had around the house to add decorations to a second tree. I think both trees are beautiful! Get creative and add your own unique details! 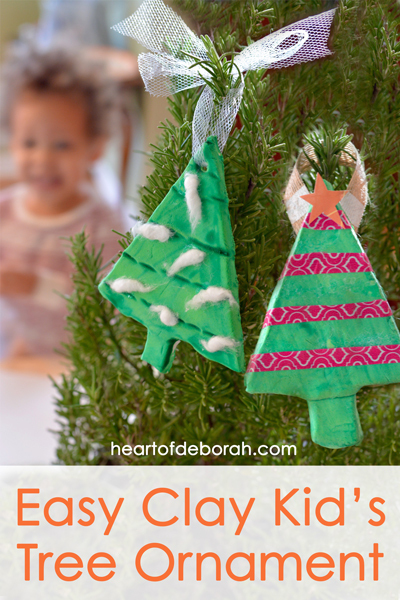 Since the clay is so light it will hang on the tree without any problems! 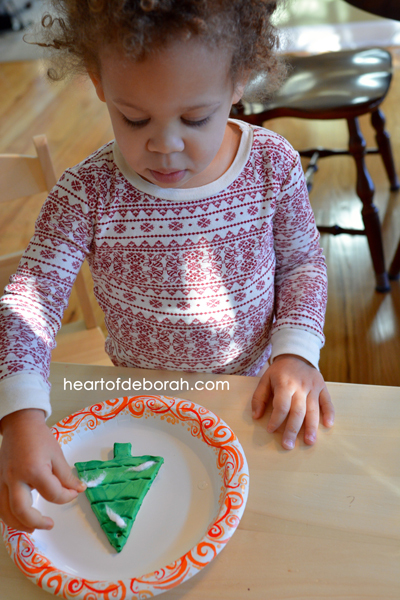 We hope you enjoy this fun Christmas craft. 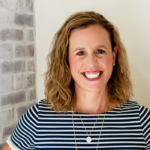 We are so excited to be a part of the amazing blog series 10 Days of a Kid-Made Christmas, hosted by Mama Miss, again this year! Let me tell you there are some amazing kid’s crafts in this series! Over 70 bloggers joined together and are sharing unique kid-made ornaments that all tie into a children’s book. How awesome is that!? Would make a perfect little homemade gift too!! So sweet!! I haven’t read the Pine Tree parable. It looks like a cute book. The addition of the Washi tape really make your ornaments special! Lovely! I didn’t realize it was clay at first. How nice. I have not seen that book and will check for it. Thanks! Pinned and shared. I love the mixed media details she added at the end.